The next stop on the Bride's Bash was Lit, a unique lounge space in Amherst that does bridal parties, bachelorette parties, wedding ceremonies and more. We were greeted at Lit with delicious mimosa's, a candy bar by Truly Scrumptious and the smiling and energetic Leanne from Skin Catering. 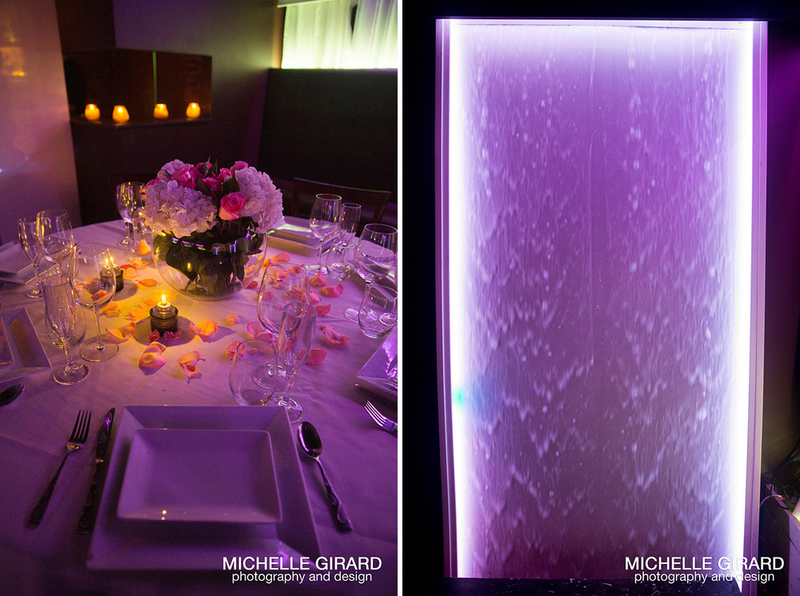 Lit looked amazing with it's floor to ceiling water falls and dramatic uplighting!